I want to start this day with good news. Let me remind you of the work of Andrew Tallon, who 3D scanned the Notre Dame. This data provides invalluable data for reconstruction. This June 22, 2015 @NatGeo piece explains how several great cathedrals of Europe were intimately mapped with lasers, creating a billion points of data of each structure. This will be crucial to any eventual reconstruction . . .
Digital memories of Notre-Dame, in this 2015 piece from @NatGeo. 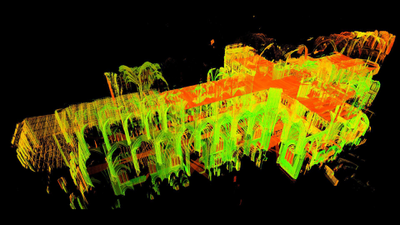 Art historian Andrew Tallon created detailed 3D renderings of the building (and its secrets) using sophisticated laser scanners.